Linux is a powerful operating system and with available distros such as Ubuntu, it has reached to millions. Even if you cannot enjoy much good software on Ubuntu, you already have lots of good alternatives to try. So, there is nothing that you could miss. If you want good screen recording software for recording screencasts, you are at right place. In this article, I am listing 5 screen recorders for Ubuntu that you can use to record screen and create video tutorials. Simple Screen Recorder is a good app for Ubuntu to record the screen. It is easy to use and also allows you to record audio along with the video. You have the option to either record whole screen or just a segment. You can also select the frame rate, video format, and video codec. RecordMyDesktop is another nice software to record the desktop of Ubuntu. It is also simple to use application with options to change the settings. You can quickly start recording screen with audio or without audio. In the advanced option, you can adjust frame rate, enable/disable “on-the-fly encoding“ and more. Vokoscreen is also a good screen recording software for Ubuntu. It is easy to use with default settings. If you want to have control over recording, you can always change the settings. You can configure frame rate, video format, audio format and more. Follow this to install Vokoscreen in Ubuntu. 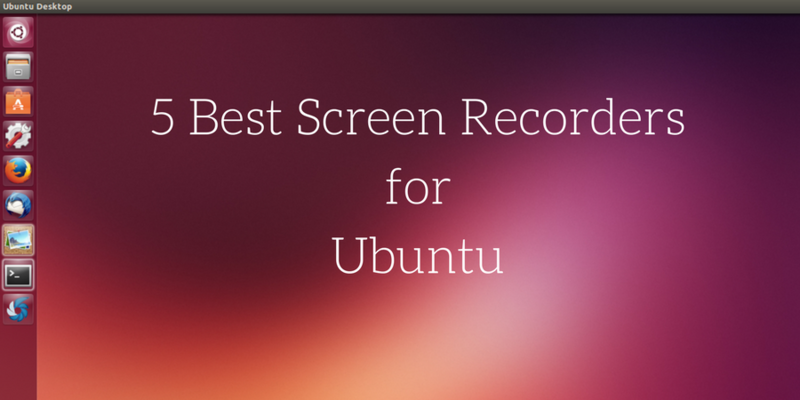 ScreenStudio is another powerful screen recording software for Ubuntu. It allows you to record HD screencast. It is also available for MacOS. It also supports streaming settings to Twitch.tv, UStream or Hitbox. It also supports webcam recording. Peek is another nice tool for screen recording. It records animated gif from your desktop screen. To install this, use the following command. There are lots of other screen recording software for Linux platform. But the 5 listed on this article are good enough to stop you searching for more. What desktop recording software do you use on Linux? Let us know your views about it in comments.